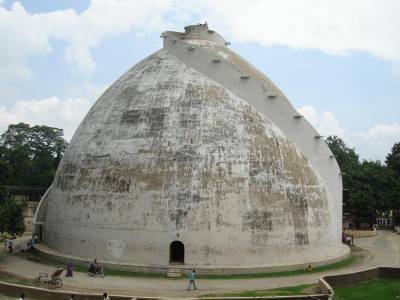 The Golghar is a massive granary devised by Captain John Garstin of Bengal Engineers and constructed in 1786 in Patna, the capital city of Bihar. The depository, having a capacity of 140000 tonnes, was built after the orders of Warren Hastings who was the Governor-General of India at that time. 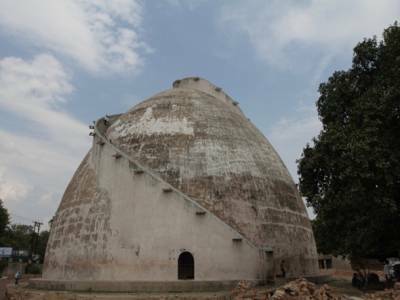 It was just part of a customary plan to store grains in case of famines with the idea of building a spate of storehouses, but ultimately only one was made, the Golghar. 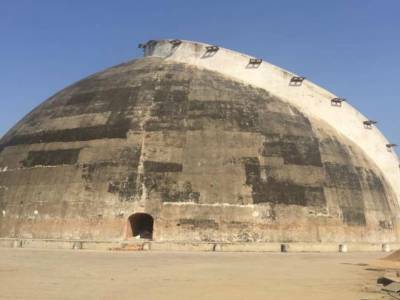 It is a dome shaped structure reaching up to a height of 29 metres. The top of the Golghar can be outreached by taking the 145 steps spiral staircase. The access to the apex is made spiral in order to make it easier and faster for workers to reach there. 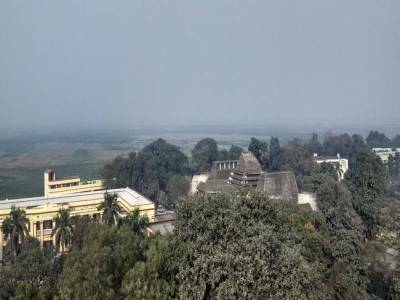 Apart from being a repository, this simple yet stunning structure presents an amazing panoramic view of the entire city and the nearby Ganges. Interestingly, some claim that there is a little flaw in the construction and that the doors of the storehouse opens inwards meaning that it can never be filled to its maximum capacity, though it had never been filled up to its limit. But tourists have a contradicting view and assert that the doors very well open outdoors. The monument is a huge tourist attraction owing to its beautiful natural setting and a peaceful ambience. 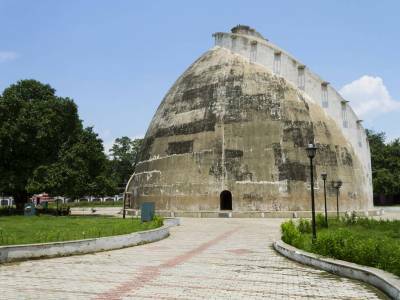 The Golghar has a historical significance as it was built to counter and combat the great famines in Bengal and Bihar that occurred in 1770. This measure was taken to prevent such calamities where the death toll rose close to 10 million. A light and sound show has been introduced recently to increase visitors and to provide tourists with a historical understanding of the construction. A drive to renovate and repair the structure was carried out in 2002. Accessibility: The Golghar is easy reach from Patna via Rail, Road & Air and is about 3 kms away from Patna Junction Railway Station, is about 11 kms away from Phulwari Sharif Railway Station and the nearest airport is Patna Airport "Lok Nayak Jayaprakash Airport" is about just 8 KM away. Get quick answers from travelers who visit to Golghar.